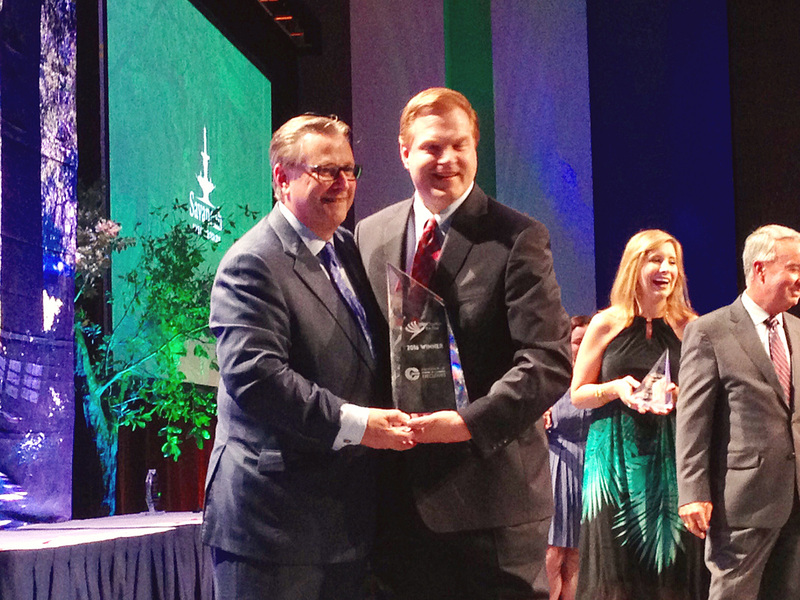 Commerce Lexington Inc. was named “Chamber of the Year” in the large chamber category (Category 4) during the Association of Chamber of Commerce Executives’ (ACCE) annual convention in Savannah, Georgia. At an awards program on Aug. 10th, Commerce Lexington Inc. President and CEO Bob Quick and a portion of its staff accepted the honor from ACCE, after competing against other category finalists, which included chambers from Brooklyn (NY), Jacksonville (FL), and Tacoma (WA). ​ACCE’s Chamber of the Year Award recognizes the dual role chambers have in leading businesses and communities, honoring excellence in operations, member services, and community leadership. The comprehensive awards program includes an operations survey where chambers must meet key performance areas, an application that details two programs or initiatives, and finally in-person interviews with leaders from each finalist chamber conducted by a judging committee. In addition to the Chamber of the Year Award, Commerce Lexington Inc. also received one of ACCE’s top communications/marketing honors – a Grand Award – for the Economic Development Division’s “Here’s Our Proof” marketing campaign during the 2015 Breeders’ Cup. 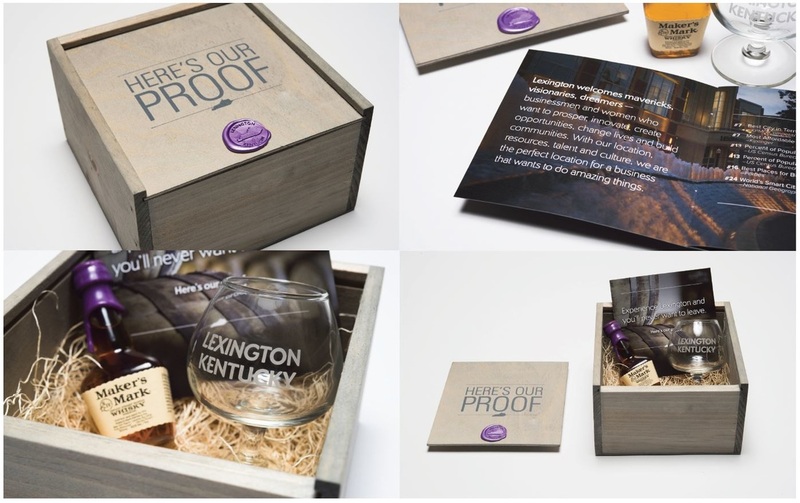 Partnering with VisitLEX, this Bourbon box marketing gift showcased Lexington as a great place for business and a top location for conventions and tourism.